Ffresh Bar & Restaurant at Wales Millennium Centre Restaurantffresh, located in the heart of Cardiff Bay is the home of great food and drink. ffresh Bar serves coffee and cake from 10am plus superb handmade pizzas and delicious platters to share from 12pm. 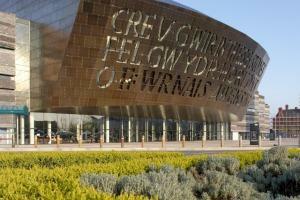 The home of great food and drink at Wales Millennium Centre, in the heart of Cardiff Bay. A Wales The True Taste partner and listed in the 2012 Good Food Guide.